Chick-fil-A® is issuing a cattle call! Mark your calendar for the 11th annual Cow Appreciation Day on Tuesday, July 14, 2015. On that day, Chick-fil-A restaurants nationwide will offer a free meal to any customer who visits a restaurant dressed as a cow. Customers dressed "head to hoof" in cow attire will be rewarded with a free Chick-fil-A meal (breakfast, lunch or dinner), which includes an entree of choice, a side item and a beverage. For those too "chikin" to wear full cow costumes, Chick-fil-A will award a complimentary entree to customers partially dressed in cow attire, such as a cow-spotted purse, hat or other accessory. Cow Appreciation Day celebrates the restaurant company's iconic "Eat Mor Chikin®" Cows, an award-winning marketing campaign that is marking its 20th anniversary this year. Chick-fil-A first introduced the Cow campaign in 1995 as a three-dimensional billboard concept depicting a black-and-white cow sitting atop the back of another cow painting the words "Eat Mor Chikin" on the billboard. To everyone's surprise, the Cows' clever self-preservation message would be the beginning of a campaign still running strong two decades later. In addition to clever roadside billboards, the Eat Mor Chikin Cows are the focal point of Chick-fil-A's in-store point-of-purchase materials, promotions, radio, TV and internet advertising, and clothing and merchandise sales. Customers can visit www.CowAppreciationDay.com starting today, to prepare for the occasion. 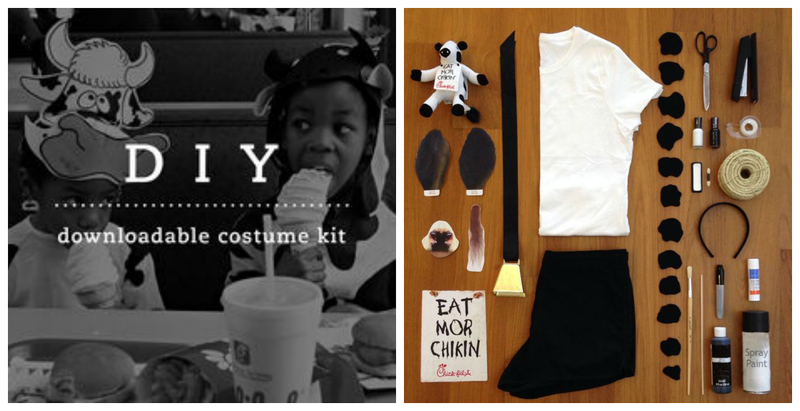 The site offers cow costume ideas and tips as well as downloadable cow spots, headbands and other bovine-themed accessories. The cows will also share costume ideas on their Facebook page. Disclousure: I am a Chick-fil-A Mom. I was not compensated for this post. All opinions expressed are my own.